The BANT Supervision Scheme is going from strength to strength. We now have 6 accredited BANT Supervisors, who have been through rigorous training and ongoing supervision themselves, who run sessions that are taking place at a number of locations across the country. 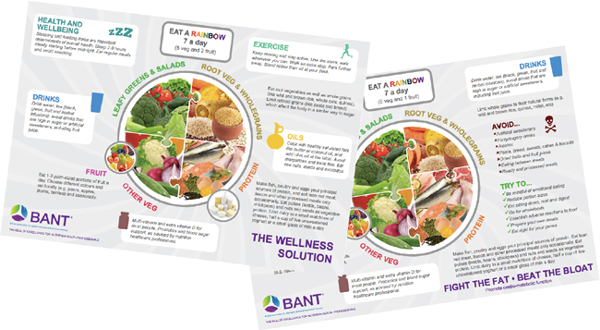 These groups are enabling Registered Nutritional Therapists (RNTs) to make a real step change in how they approach and resolve the dilemmas and challenges that they face as a daily part of their nutritional practice. As RNTs we face unique challenges that vary from practitioner to practitioner. The supervision process has therefore been designed to support the individual needs of each person within the group. Groups are currently running in Hertfordshire, London, East Anglia, Hampshire, Sussex, Manchester and Liverpool. New groups are currently being set up in Surrey, Kent and West Midlands. The groups meet every 6-8 weeks and don’t forget that each session would count towards your active CPD. Also, later this month, new supervisors will be recruited for Scotland, Yorkshire, Buckinghamshire, Berkshire and Bristol so groups will be set up in these areas by the end of the year. The Members Area of our website has lots of information about the Supervision Scheme including the latest group meeting dates. For any further questions or to take part in this exciting initiative, please email supervision@bant.org.uk. Welcome to the May issue of the BANT News. We’re excited to include for the first time Supervision case files, real examples of how Supervision has helped Registered Nutritional Therapists to work through issues affecting them in practice. We’ve also provided an interesting study on Alternate Day Fasting and an action-packed CPD Events list! Access the BANT news here. Welcome to the May issue of the BANT News. We’re excited to include for the first time Supervision case files, real examples of how Supervision has helped Registered Nutritional Therapists to work through issues affecting them in practice. We’ve also provided an interesting study on Alternate Day Fasting and an action-packed CPD Events list! Digestion is everything! Learn about your gut and the microbiome, the fascinating world within you PLUS much more. 70 million people suffer in the United States suffer from digestive diseases… millions more worldwide! These 32 talks will show how digestive health is linked to your immune, endocrine, circulatory and central nervous systems… impacting physical, mental and emotional wellbeing! Transform your health! Top experts provide cutting-edge information and simple science you can use right away. Digestion is everything! Learn about your gut and the microbiome, the fascinating world within you PLUS much more. 70 million people suffer in the United States suffer from digestive diseases… millions more worldwide! These 32 talks will show how digestive health is linked to your immune, endocrine, circulatory and central nervous systems… impacting physical, mental and emotional wellbeing! Transform your health! Our top experts provide cutting-edge information and simple science you can use right away.